Free samples of garden greenery from the annual flower show—what could be wrong with that? Plenty, if the gift-giver is none other than the criminal Creeper, master of plant-life, with a new scheme to take over the city! Even worse, when the Creeper doesn’t know what’s really going on behind the scenes. 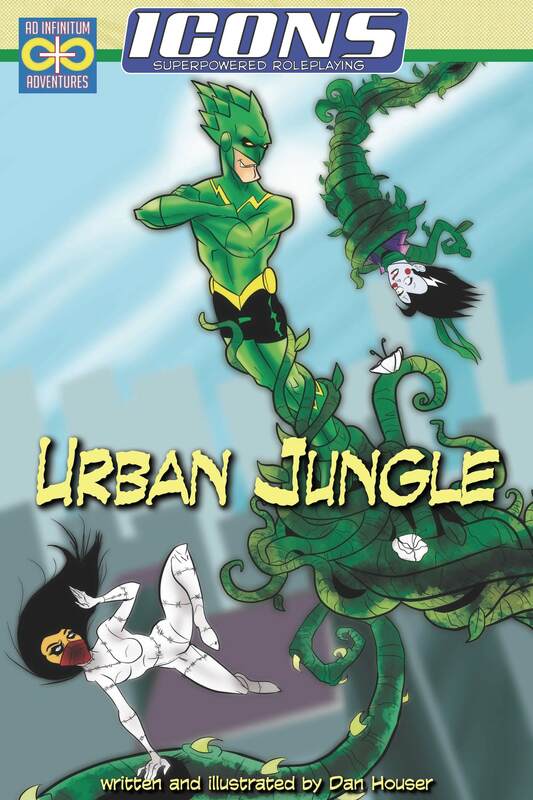 It’s survival of the fittest in … The Urban Jungle! A standalone adventure for Icons, written and illustrated by Dan Houser, now available from DriveThruRPG and RPGNow! 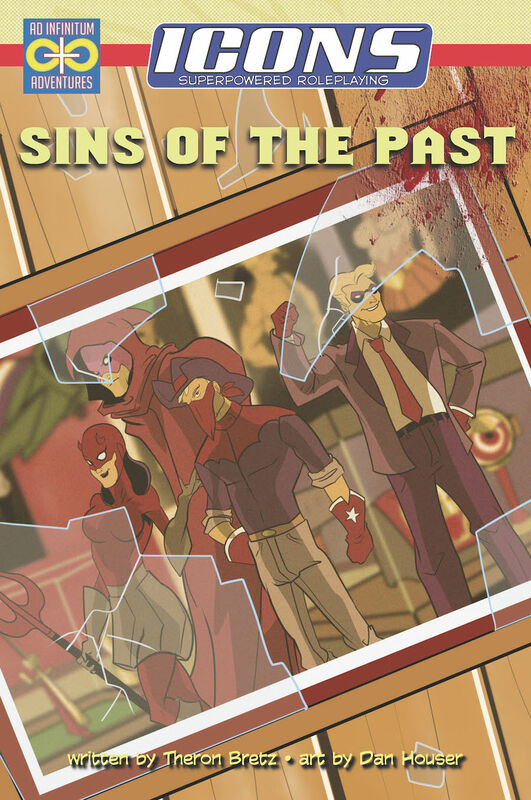 A standalone adventure for Icons, written and illustrated by Dan Houser, coming soon from Ad Infinitum Adventures! Continuing the epic Rise of the Phalanx series, Dan Houser brings you the “event” adventure Nemesis Crisis — usable with Hero Pack 5 for ICONS Superpowered Roleplaying, and now available on DriveThruRPG and RPGNow! Called to invesitgate a mysterious energy phenomenon, the heroes are whisked away from Earth to the the otherworldly planetoid Equinox, where the Cosmic Justicar pits them against their greatest foes, and the malicious and mysterious master villain known as Reign, with the fate of Earth’s metahuman population at stake! The Nemesis Crisis present the planetoid Equinox, the aliens inhabiting it, and sample heroes and villains for the adventure, which is also designed for use with the characters from Hero Pack 5. 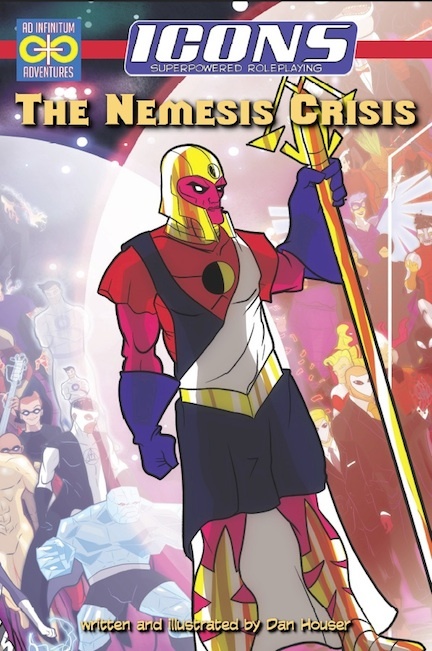 Can the heroes overcome the cosmic challenges to prove themselves worthy in…The Nemesis Crisis? Get it now for just $5 at DriveThruRPG! Ad Infinitum Adventures presents Cold War Conundrum, an adventure for ICONS: Superpowered Roleplaying, usable a a stand-alone or as a sequel to the kick-off adventure Flight of the Nova-1. A threat long thought defeated and locked away rises in the former Soviet Republic of Zyrkistan. 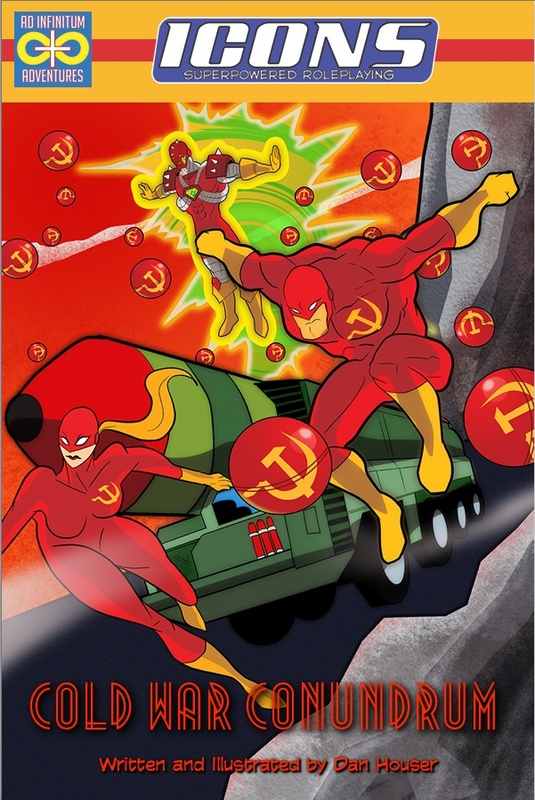 The energy being known as Arsenal steals nuclear warheads scheduled for decomissioning with the aid of former Soviet heroes, mercenary villains, and Cold War-era technology, intending to unleash terrible vengeance upon the West! Can the heroes find Arsenal’s hidden base in time to prevent Armageddon? Cold War Conundrum is part two of the exciting Rise of the Phalanx storyline, also playable as a stand-alone adventure, and features new villains, robot minions, vehicles, and world-spanning action for your team of ICONS heroes! 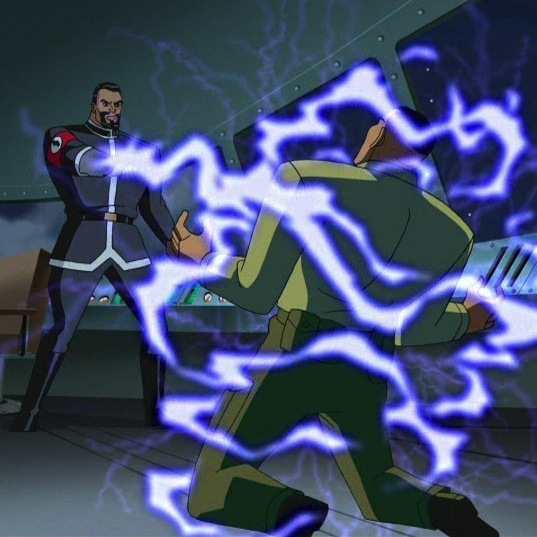 It’s the end of the first season of Justice League and the conclusion to the epic three-part “The Savage Time” as the time-tossed members of the League have to stop Vandal Savage from interfering with history and prevent the Axis powers from winning World War II.